Give it time. 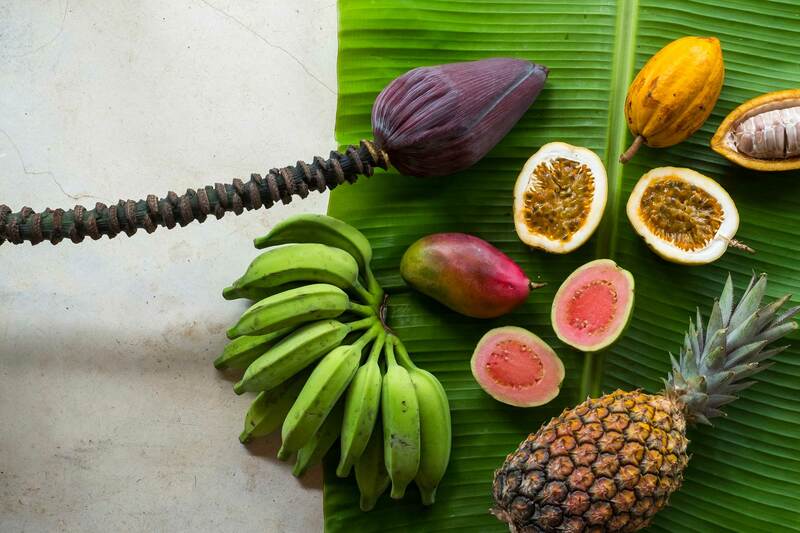 We believe it takes time to truly experience the local nature and knowledge. 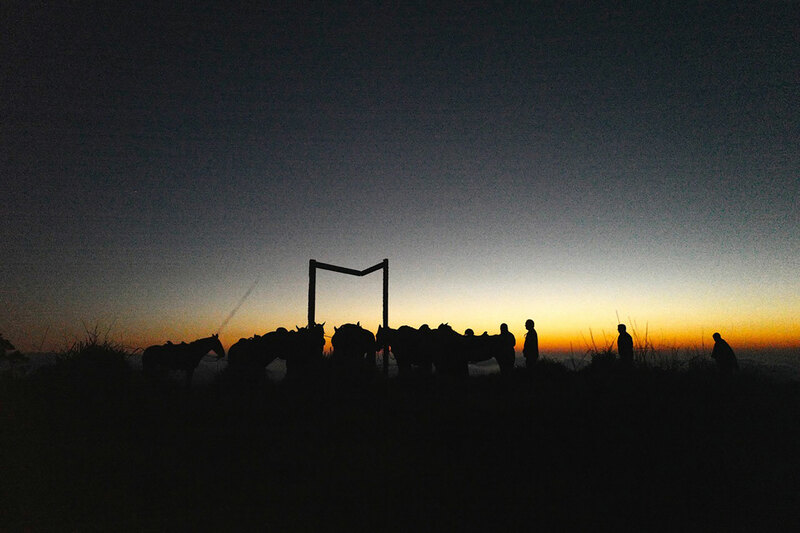 Our experiences are designed according to the length of stay, revealing, each day, new activities, rituals and secret corners only time can reveal. The Farm experience begins with the connection with the place. 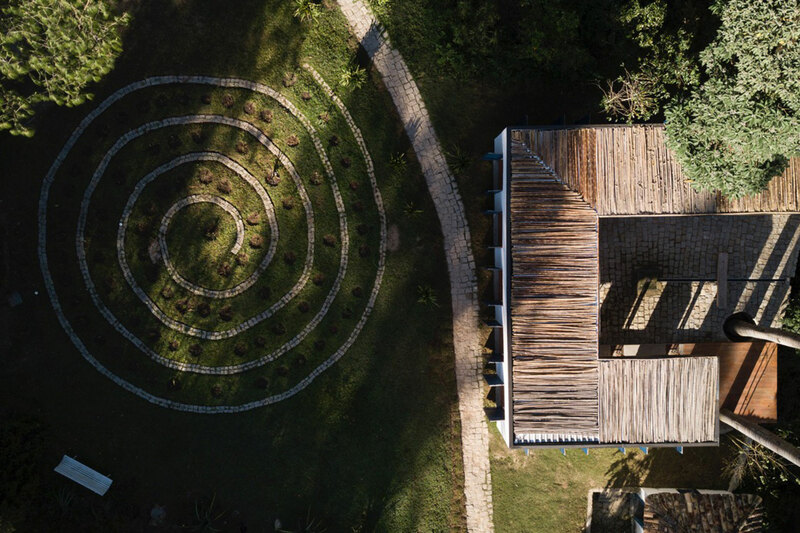 Our guardians lead the journey through the Farm’s architecture and cultural complex, starting at the Main House, going to the Art Gallery and the indigenous hut (Oca), some of the works that inspire the Farm. The other works are spread on walls, gardens and other corners to be discovered over the stay. 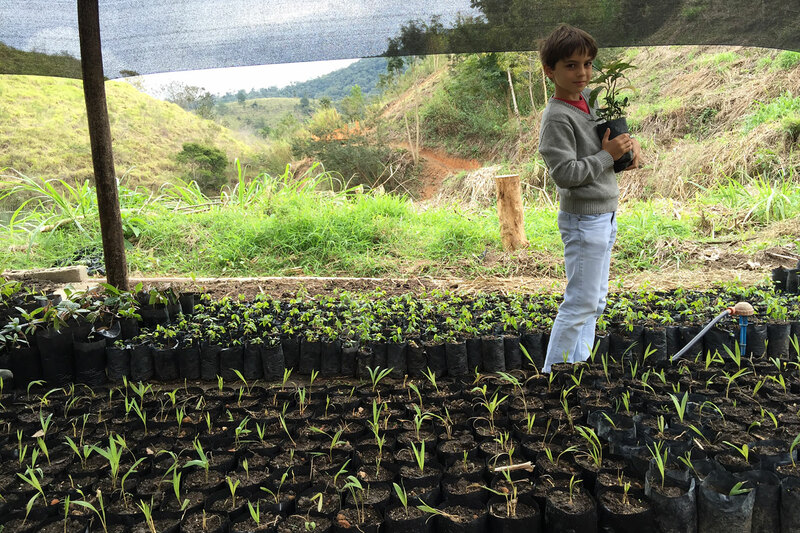 The program continues with hands on the earth, planting trees in our reforestation program. Our full breakfast, lunch and dinner, in the traditional country style, bring the special touch of foods produced locally, fresh and full of life. 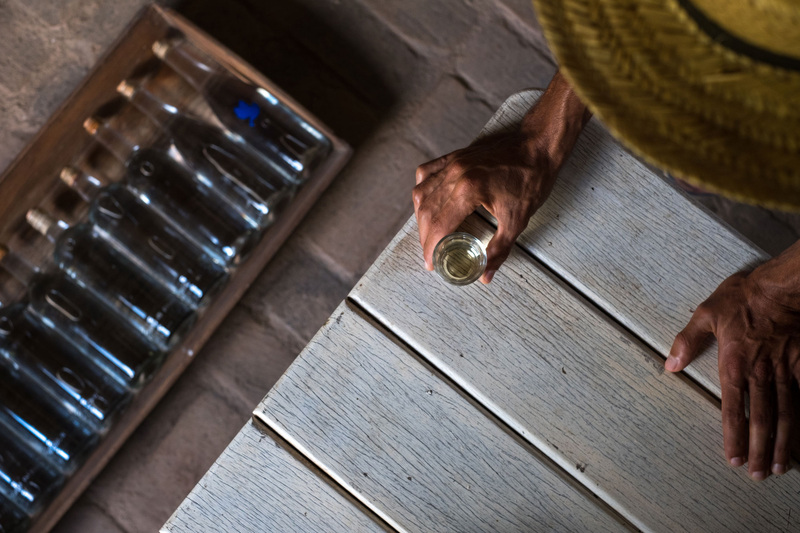 We go with the flow of celebrating nature, with walks, swims on the lake and waterfall, and celebrate the day with our cachaça tasting. The nighttime experience includes movie sessions at the Oca or outdoors in our bamboo art gallery. Movie session at the Oca or in the Art Gallery. After enjoying the 3 Nights / 4 Days Farm experience, time allows us to expand our relationship with the earth, through the vegetable garden experience, an activity that enables the exchange of knowledge with our land guardians, our people. 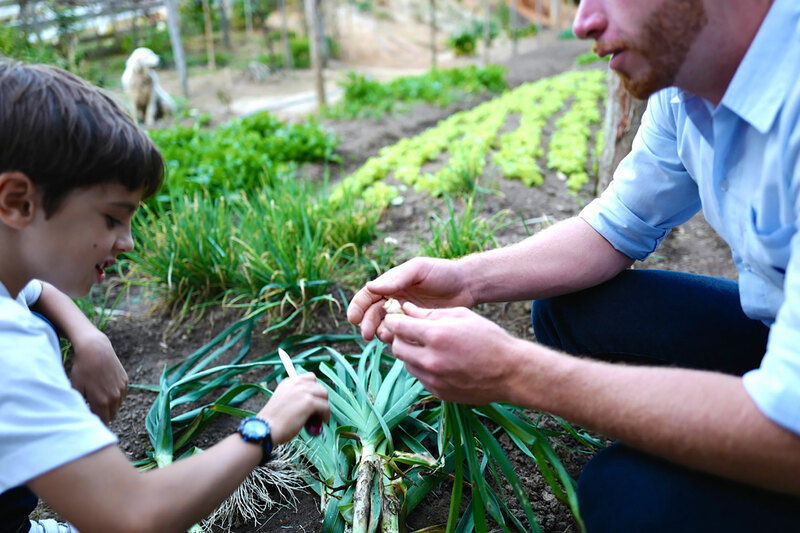 You can pick your own food and bring it to the cooks, enjoying the freshness from earth to plate. 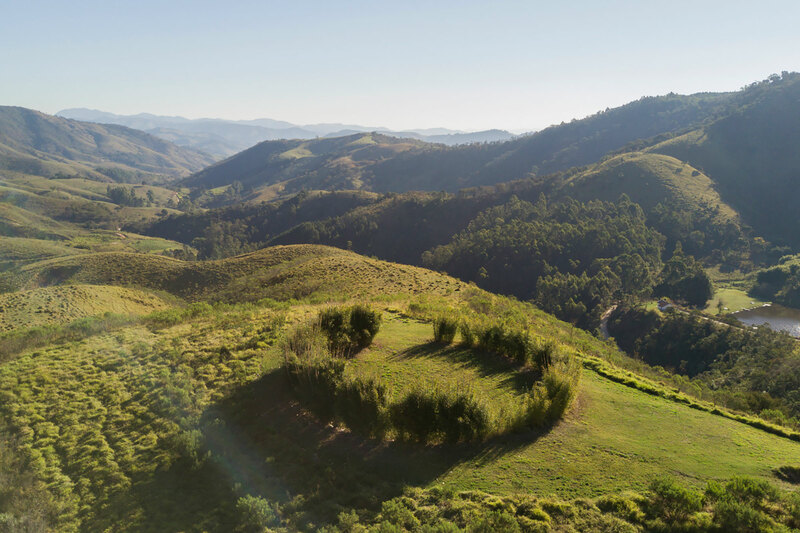 We continue to the Bamboo Cathedral, by the Campana Brothers, one of the highlights of the Farm, from where you can watch the sunset, enjoying a delicate biodynamic wine. Pink and orange skies color the contemplative scenery. Sunset at the Bamboo Cathedral. After 5 nights / 6 days of experience, your relationship with time is changed, and you are in synch with the place. Now there is room to deepen the experience and discover places further away. 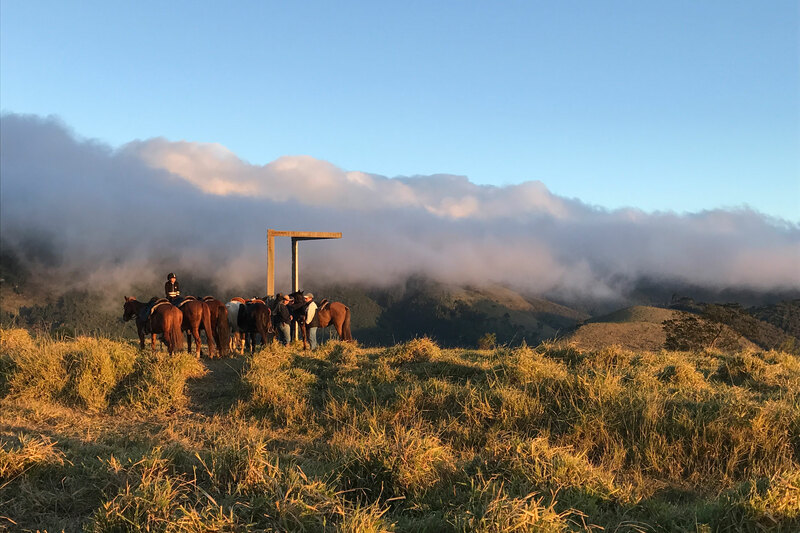 You may choose the tail to explore on horseback, to visit the Farm’s highest point, Altão, where the Southern Portal is located; or to visit the homes of the locals, through the beautiful green valleys. 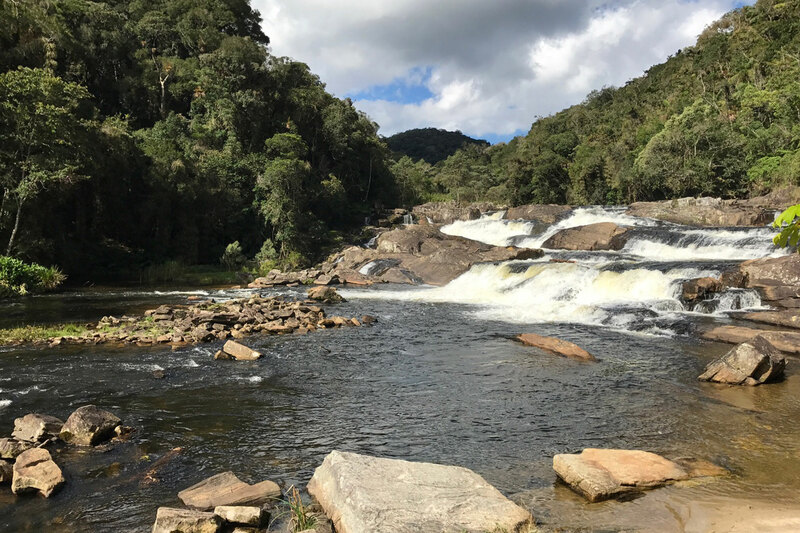 To top it off, refresh your soul in the trail to the Paraitinga River’s waterfalls, a 4-hour tour with the Serra do Mar State Park’s guide. After taking the time to enjoy all of the delicacies from our kitchen, you can also learn how to make cheese, jam, fruit pies, or the unforgettable cheesy bread from our breakfast, a delicious way to relive a little bit of the Farm experience back home. From 11th September 2017 to 30th September 2018 (excluding New Year and Carnival). Rates refer to Fazenda Catuçaba and does not include 21% of taxes; Rates per person in Brazilian Reais (R$). Minimum stay is 3 nights except for the Weekend Experience. To learn more about stays longer than 14 nights or mini-sabbatical, ask our Reservation Team for special conditions. From 15th December 2017 to 5th January 2018 and Carnival from 9th February 2018 to 16th February 2018. The sun rising to the rufous-bellied thrush’s song in the porch invites you to begin a day of discovery at Picinguaba. 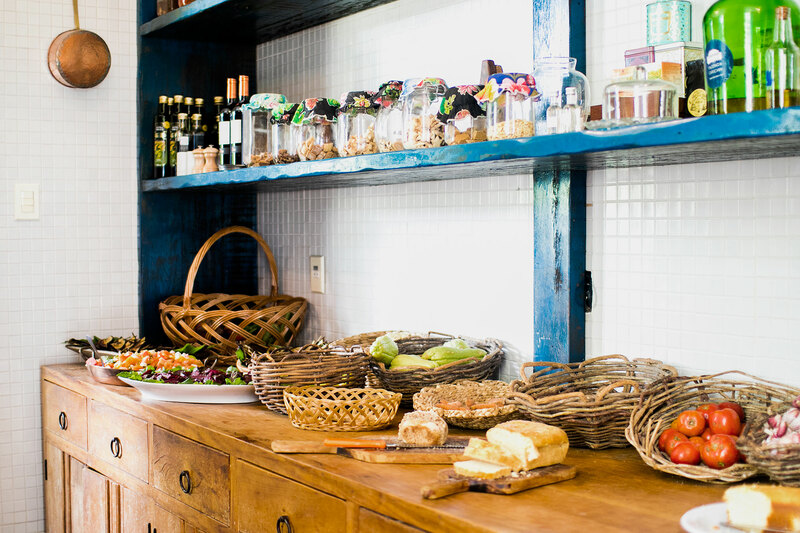 The breakfast table, filled with seasonal fruit and delicacies made by our cooks, gets even better with the beautiful view to the Praia da Fazenda beach, one of the most preserved beaches in the São Paulo coast. 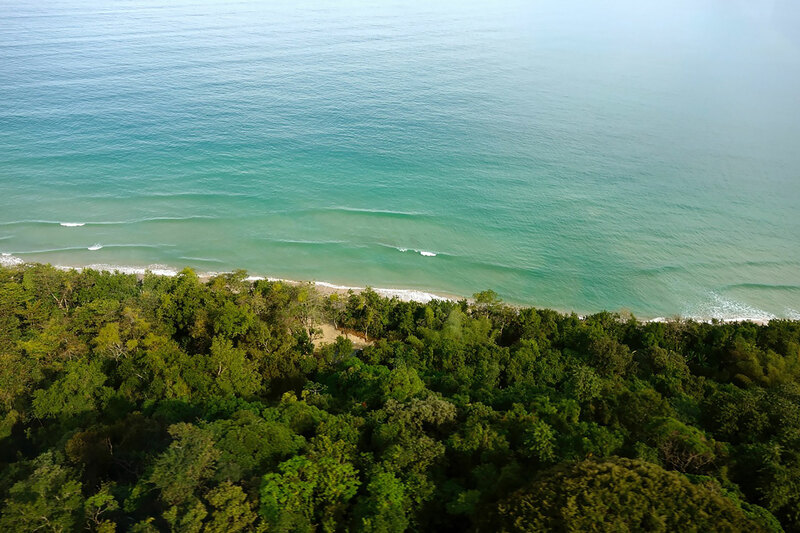 The greenish-blue bay invites you for your first experience in this paradise. 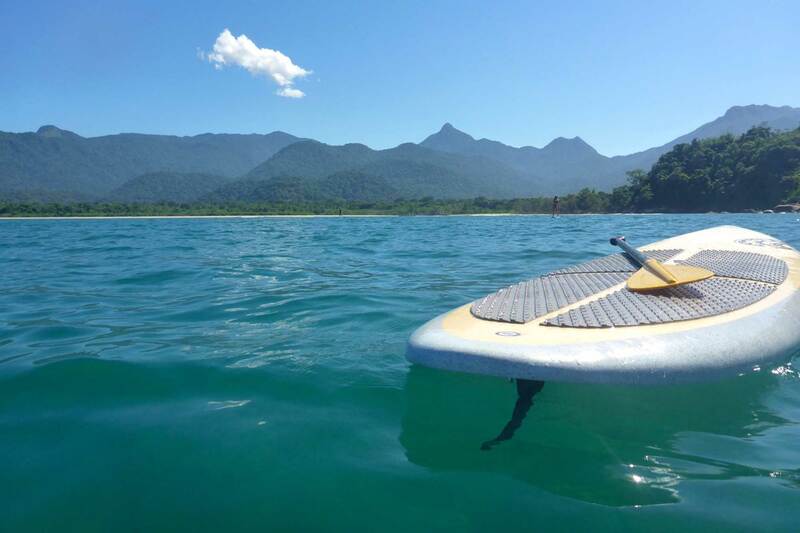 You may choose a kayak or stand-up paddle board to spend the day exploring the calm waters of Picinguaba bay, where you may see many turtles and, if you’re lucky, dolphins. You may also observe the local fishermen’s way of life, in their canoes and nets to fish Mullets. 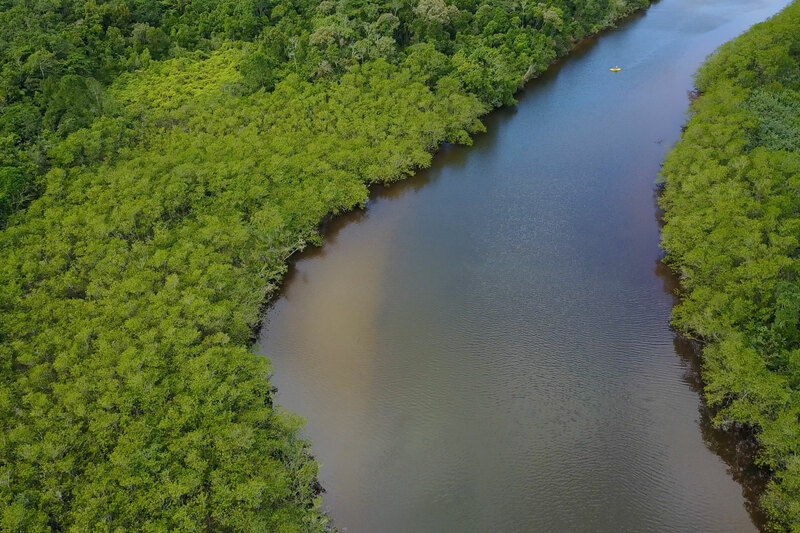 Another option is to row up the rivers Picinguaba and Fazenda, which form a beautiful mangrove, with rich nature: colorful bromeliads and orchids, fish jumping alongside your kayak, and sea birds reflected in the waters of this sanctuary on Earth. 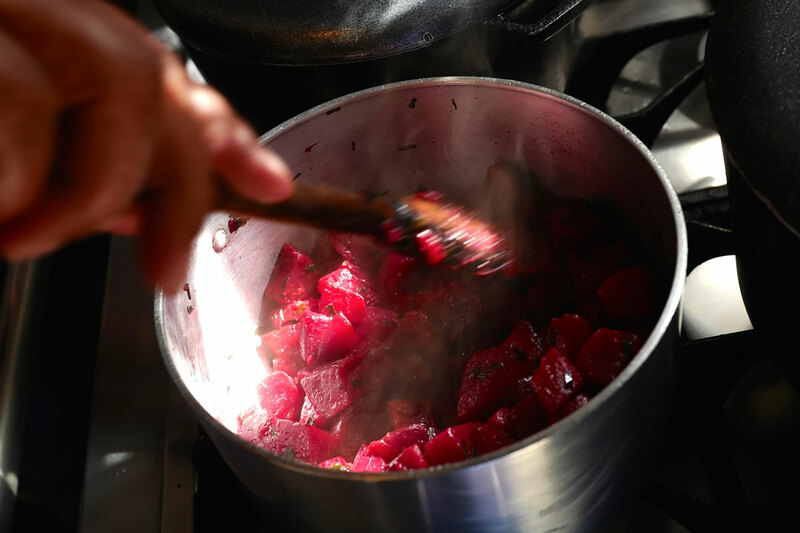 At the end of the day, a dip in our pool or a visit to the sauna to relax even further before dinner, when you will enjoy the traditional caiçara cuisine, with fresh fish and vegetables fresh from the Farm. 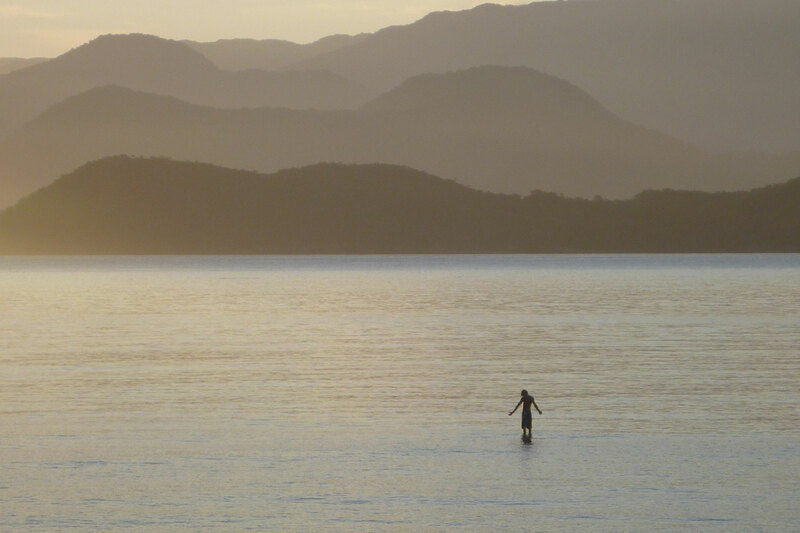 After the 3 nights / 4 days experience, you already have a close relationship with the sea, and the availability of stand-up paddle boards and kayaks is unlimited, so you decide the pace of your curiosity and desires. There are many places to row to! Our guardians can give you indications, and get going! The ocean experience continues, fishing from one of the many rocks in the bay. Line in hand and plenty of tips from our local team of fishermen, learn about the fish and this traditional activity, preserved in Picinguaba. Fishing at the Rocks with a fisherman from the Pousada’s team. Time goes by smoothly in Picinguaba, and after the 5 nights / 6 days in synch with the sea and forest, the journey flows naturally. 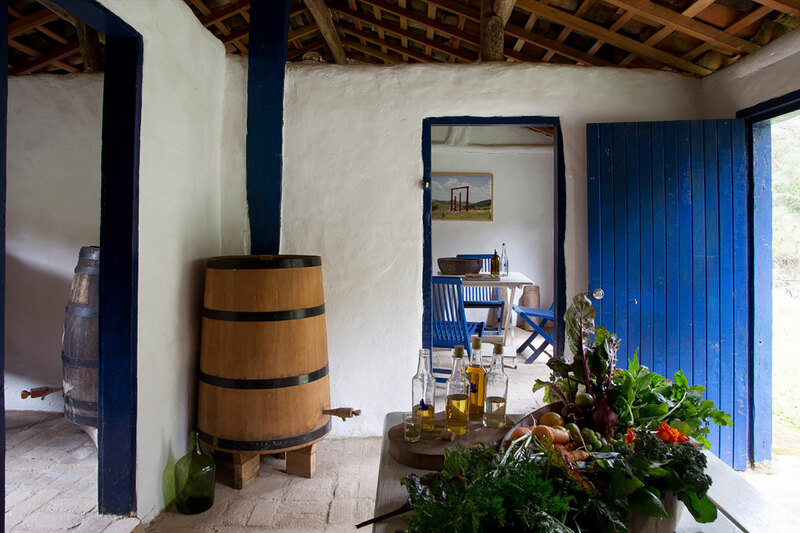 In this experience, you enjoy a trip to the local culture and knowledge, a guided visit to Casa da Farinha, where you will meet Mr. Zé Pedro, guardian of the quilombola memory and of this special place, surrounded by forest trails and clear waters. A swim in the well will recharge your energy at this beautiful natural spa to complete your visit and continue to the Tombador Trail, a guided trek through the Atlantic Forest leading to a 12-meter waterfall, where you may swim in the crystal-clear waters in the wells covered in small stones and small Astyanax fish. 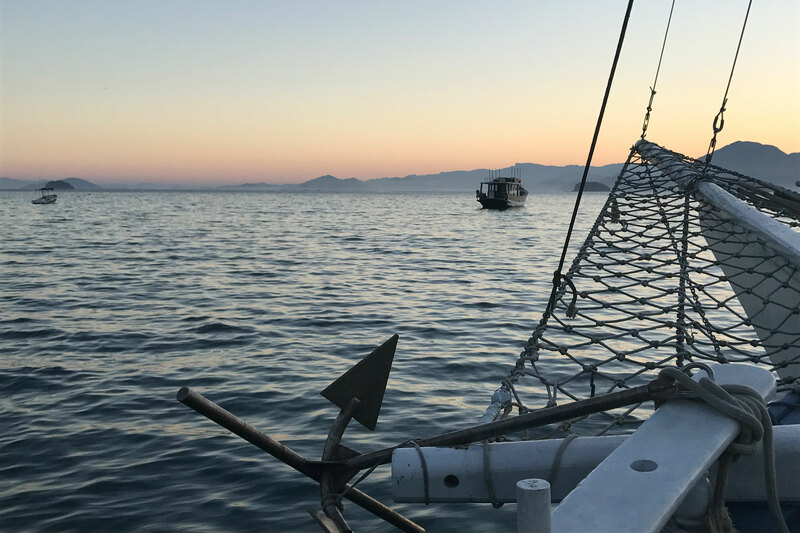 During the week, you may choose a day of calm waters and blue skies to feel the breeze onboard the UYRA, our private 42ft boat that will take you through the nearby islands, where you may snorkel and enjoy the beautiful marine fauna, to later snack on delicious ceviche made at the beach. At the end of the day, we sail back and enjoy the unique views of the Green Coast. From 11th September 2017 to 30th September 2017 and from 2nd May 2018 to 30th September 2018. 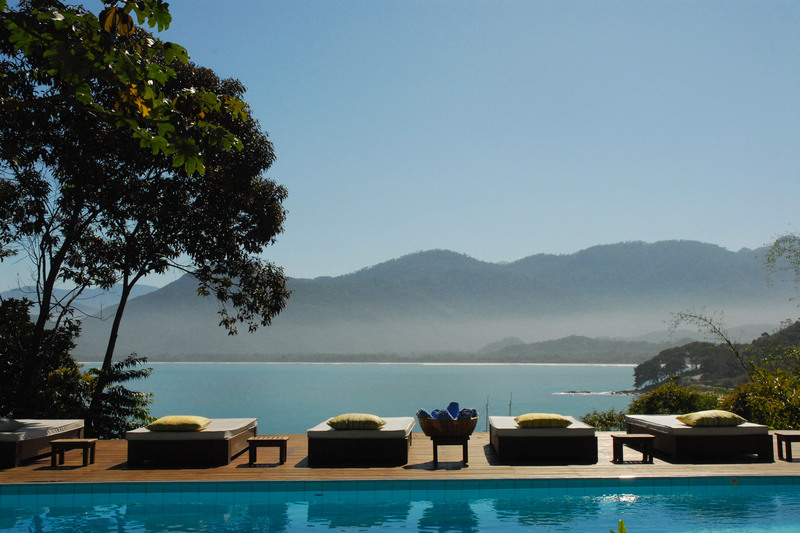 Rates refer to Pousada Picinguaba and does not include 21% of taxes; Rates per person in Brazilian Reais (R$). From 1st October 2017 to 1st May 2018 (excluding New Year and Carnival). 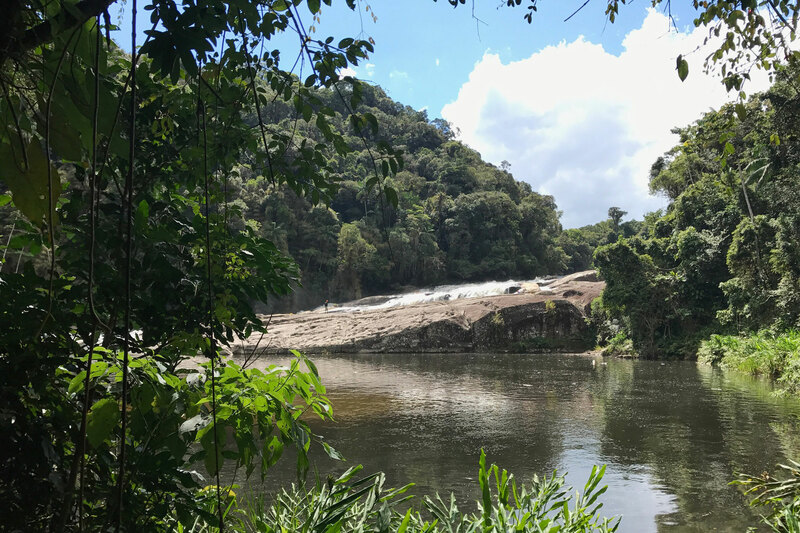 In this experience, you combine Fazenda Catuçaba and Pousada Picinguaba as you wish, dividing your time between the two properties, only 1h30 minutes away from each other. 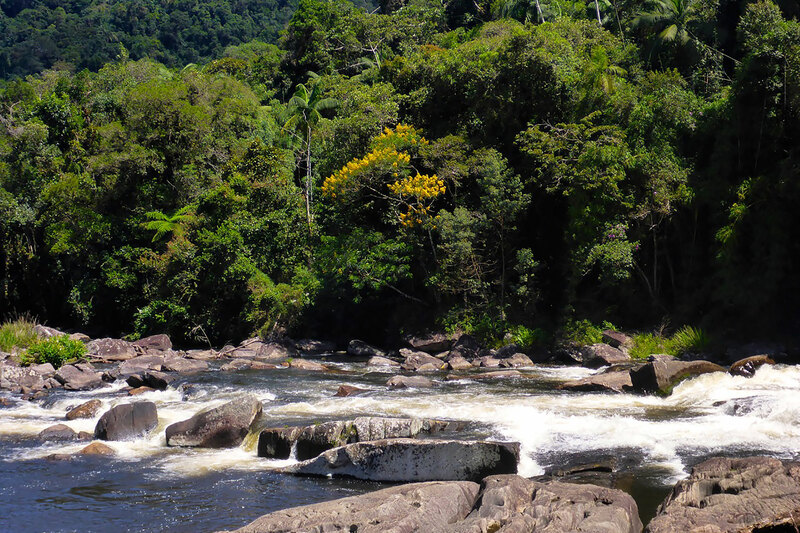 Here, you can decide if the Paraitinga River Waterfall Trail, with the Serra do Mar State Park’s guide, occurs while you are at the farm, or on the way between Catuçaba and Picinguaba. 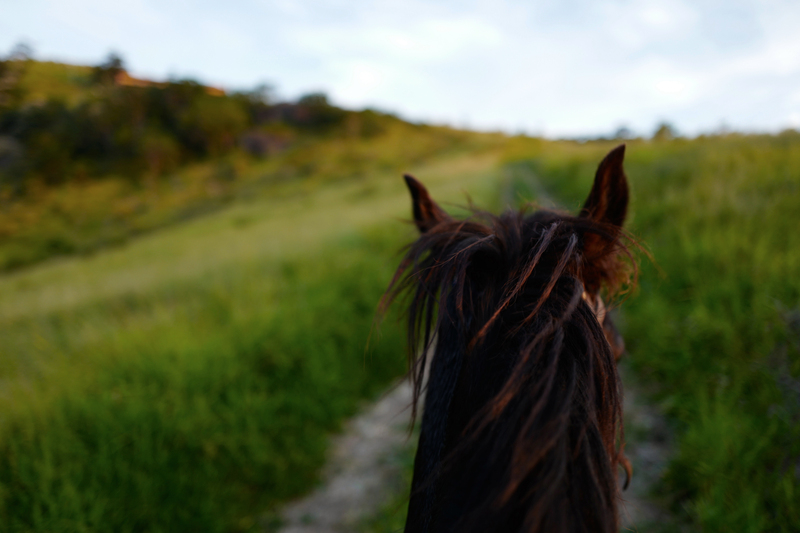 At the farm, you may also choose the trail you wish to horseback ride on, seeking to enjoy the vast and diverse sceneries found at the Farm. 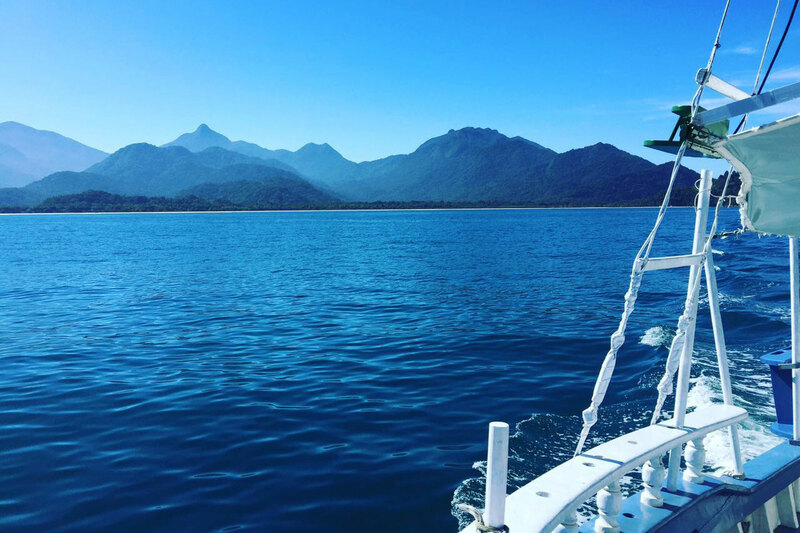 In Picinguaba, you enjoy a day of calm waters and blue skies to sail on our boat through the Green Coast islands, with their beautiful fauna and flora. Our delicious ceviche is served in one of the islands, providing a break on the beach. The day ends with an invigorating swim in the pool, overlooking the ocean and the forest. 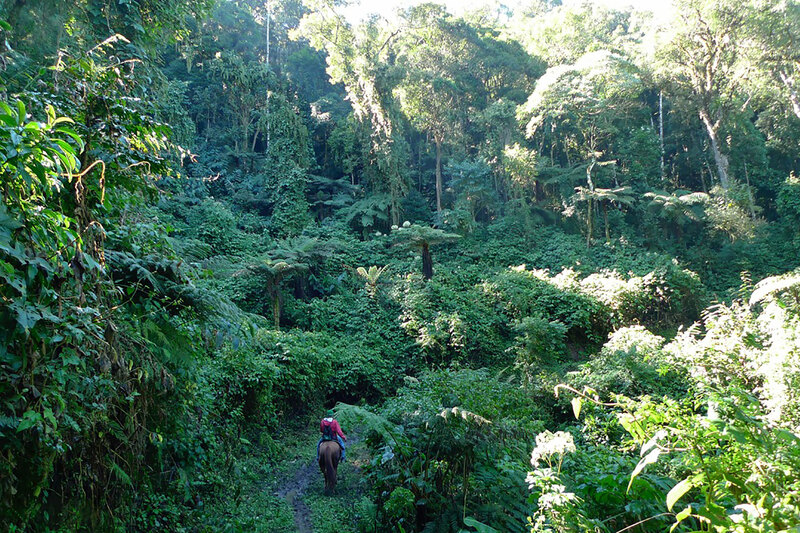 Paraitinga River guided trail at the Serra do Mar State Park. 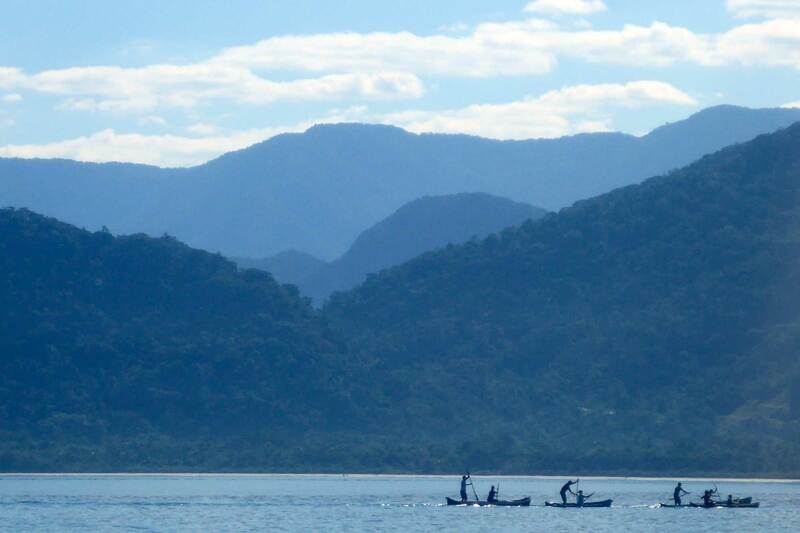 An immersion in the nature and preserved cultural life of Catuçaba and Picinguaba. Surrendering to the best tours of each location, a 1.5-hour drive away. In this experience, in addition to all the activities offered in each location’s 7-day stay, you get to experience the drive. 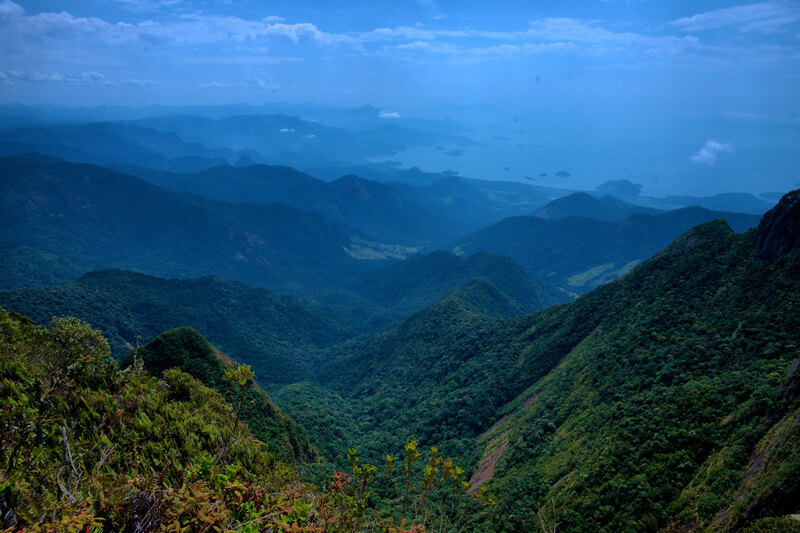 The road between Picinguaba and Catuçaba goes through the Natural Park, and the first stop is the Paraitinga River trail. 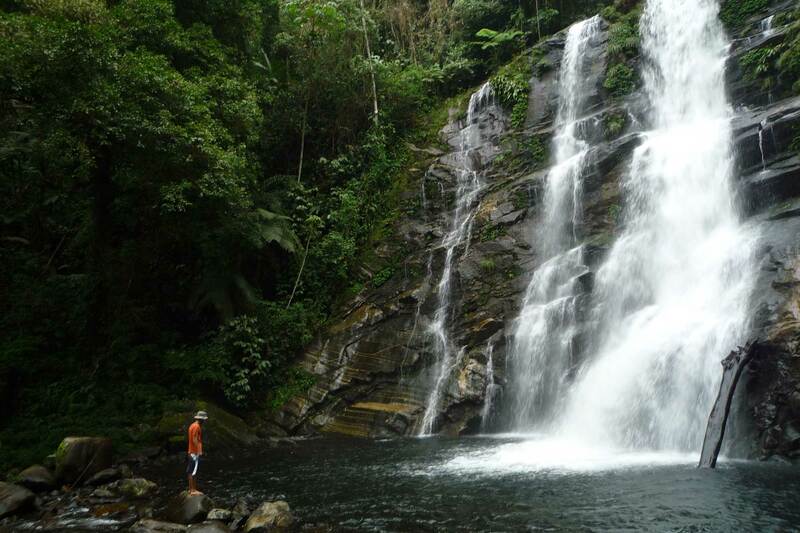 Here, you can choose between the trek and swimming at the waterfalls, or white-water rafting. After the drive, a relaxing sauna and organic wine welcome you by the pool if you are coming from Fazenda Catuçaba. If you come from the opposite way, prepare to enjoy an aperitif made specially for you at our Hut (Oca) or at the Main House. 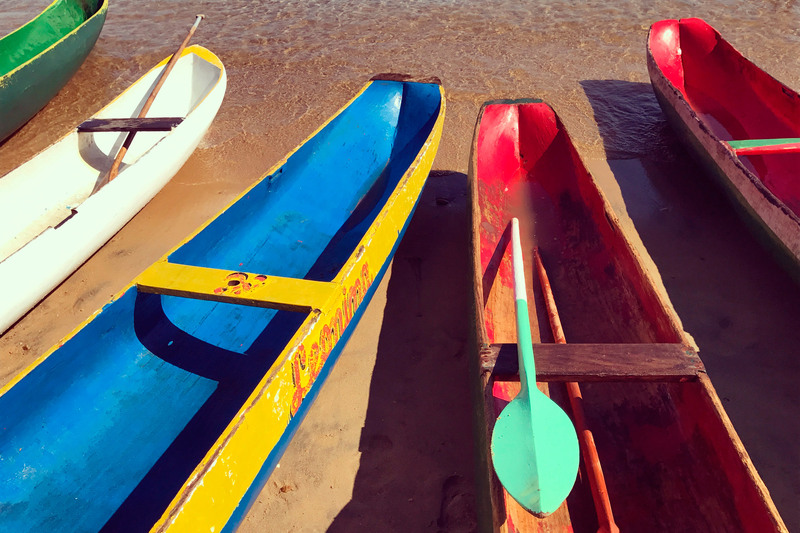 The first of the next 7 days sets the tone for what is to come, tranquility with a hint of adventure on the Brazilian Green Coast’s seas or forests. Honoring the philosophy of connecting our guests with nature, local culture, and well-being, our rooms do not have TV sets, mini bars, telephones or internet access. Respecting everyone’s’ health and well-being, smoking is not permitted. Our rooms provide great comfort and the beauty found in simplicity. For optimum comfort, each room accommodates 2 adults and up to 1 extra bed, except for the houses, that accommodate up to 4 people. Our meals are based on locally produced foods, fresh and healthy. We serve fish, chicken and pork, which are fished or produced locally. We do not serve soft drinks, and our wines are organic, natural; we also serve artisanal beers. We serve our famous caipirinhas as well, prepared with our cachaça. Due to the higher summer temperatures on the shore, our accommodations at Pousada Picinguaba have air conditioning. 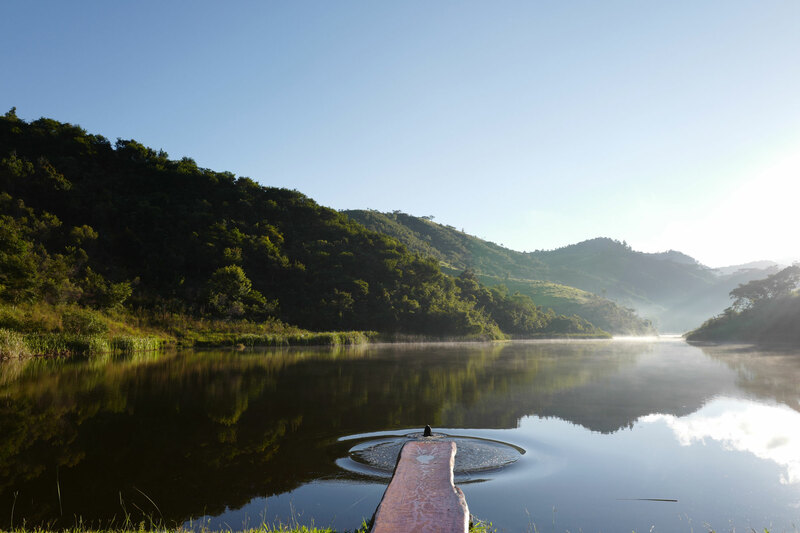 At Fazenda Catuçaba, there is no air conditioning in the rooms, due to the mild temperatures there. Devido às altas temperaturas do verão no litoral, nossas acomodações na Pousada Picinguaba possuem ar condicionado. 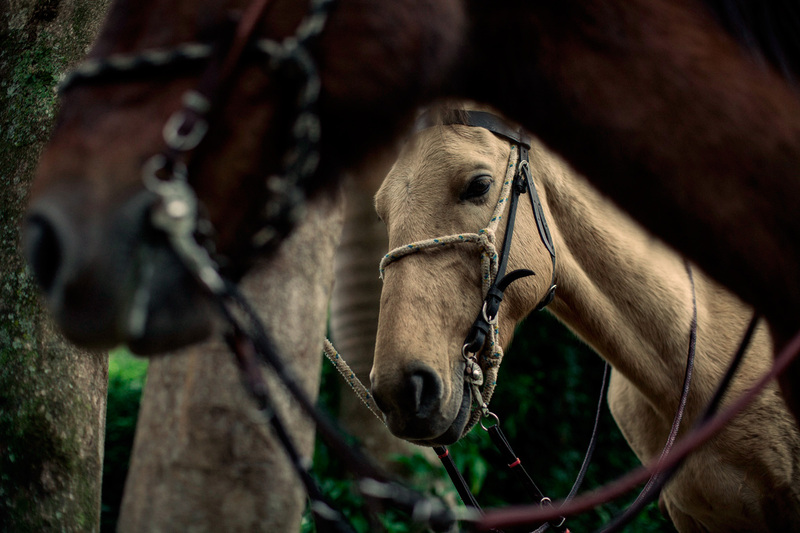 Já na Fazenda Catuçaba, os quartos não possuem ar condicionado, devido as temperaturas mais amenas.Honoring the philosophy of connecting our guests with nature, local culture, and well-being, our rooms do not have TV sets, mini bars, telephones or internet access. 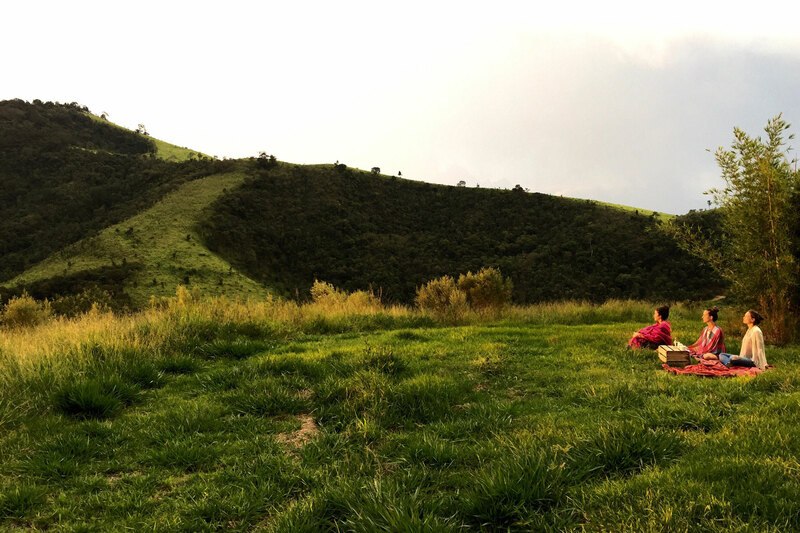 The availability of the activities included in the experiences are subject to weather conditions. 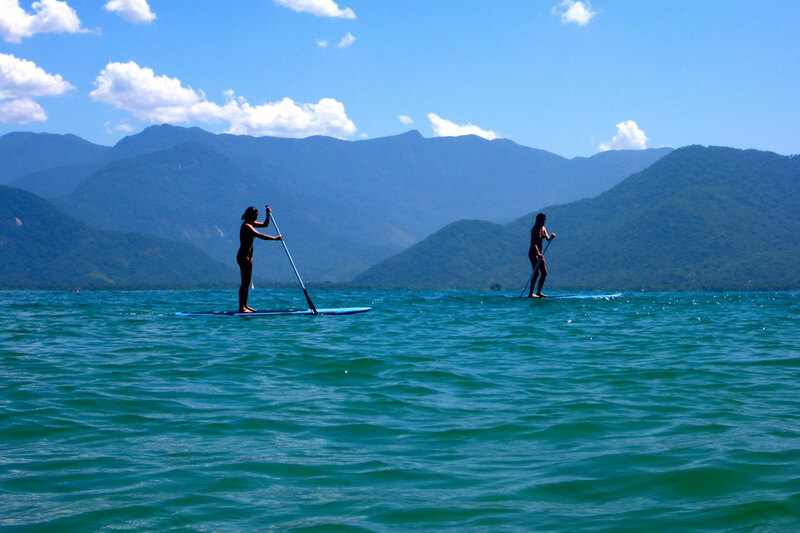 Our guests have access to all activities not included, as per the price table, charged as extra activities. Guided trails and other guided activities are provided in your language of choice: Portuguese or English. Transportation is not included in our rates, except for the transfer between properties when agreed. We request a 50% deposit for confirmation, and the balance within 1 month prior to arrival. Payment shall be made in Brazilian Reais via bank transfer or credit card charge authorization. For cancelations up to 91 days before the stay, we reimburse 90% of the booking payment. 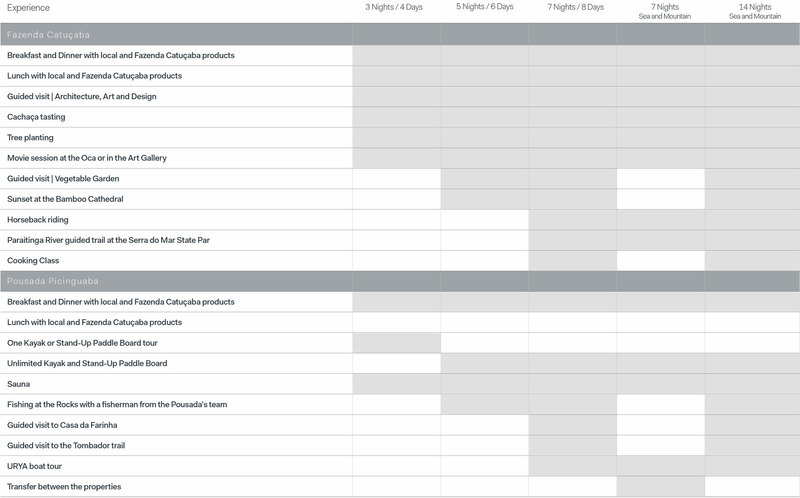 For cancelations between 90 and 31 days, we reimburse 50% of the booking payment. For cancelation less than 30 days before, or during the stay, there is no reimbursement. For one child between the ages of 0 and 5 years, staying with more than one paying guest, the extra bed shall be offered free of charge. If there is more than one child between the ages of 0 and 5 years, there will be a charge of 50% of the rate per person. For children between the ages of 6 and 13 years, the charge is of 50% of the rate per person. The rate for children 14 years old and older is 100% of the rate per person.